Gold prices moved higher in early European hours on Wednesday following hawkish remarks from FOMC speakers regarding the policy normalization process. As the FOMC statement and Janet Yellen’s speech last week used a more dovish than expected tone, investors are looking for hints on the regulator’s next moves. On Tuesday, Cleveland Fed President Loretta Mester said that she believes more than three interest rate hikes will announce during this year. "I actually built into my forecast more than three as I have the economy a bit stronger than the median forecast," said Mester in prepared remarks. On the Comex division of the New York Mercantile Exchange, gold for April delivery was up 0.09 percent to trade at $1947.60 a troy ounce as of 07:05 GMT. In economic news, the current account deficit came down to -$112.4 billion, while economists had forecasted a cut to -$128.2 billion. On Thursday, another batch of Fed speakers will set the tone in gold markets, including Fed Chairwoman remarks scheduled at 12:45 GMT. Oil prices slipped in Asian hours on Wednesday after a private report showed a larger-than-expected increase in US crude stockpiles last week. US West Texas Intermediate oil futures traded at $47.83 a barrel on the New York Mercantile Exchange, down 0.85 percent from its previous settlement. The international Brent crude oil futures fell 0.71 percent to trade at $50.60 a barrel as of 06:45 GMT. 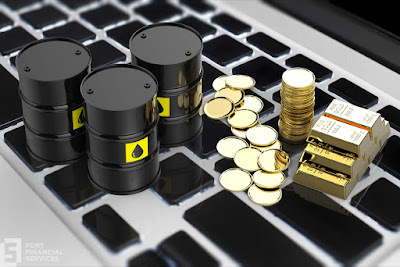 According to the latest report from the American Petroleum Institute (API), crude inventories added 4.53 million barrels in the week ended March 17, while gasoline stockpiles came down by 4.93 million barrels and distillates by 880,000 barrels. Economists had forecasted a crude stockpiles increase of 2.8 million barrels and a reduction of 2.008 million barrels for gasoline supplies. For distillate products, expectations pointed to a 1.386 million barrels drawdown. Today, the US Energy Information Administration will be releasing its weekly report on crude and refined products inventories. If data is aligned with API’s figures, oil benchmark will suffer from a downward pressure that could trap them behind the $50 mark. Also weighing on oil prices, North Korea has conducted a new missile that “exploded within seconds of launch”, said a US military spokesman. Investors are currently focused on OPEC’s Thursday meeting, as speculation for a renewal of the production cuts remain in the spotlight. Last November, the oil cartel together with non-OPEC countries such as Russia agreed to cut 1.8 million barrels per day in the first six months of the year to fight oversupply.